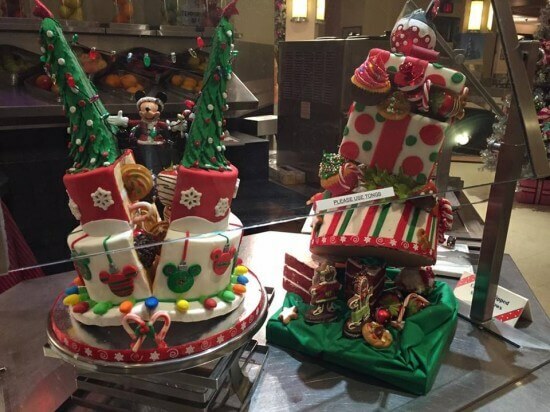 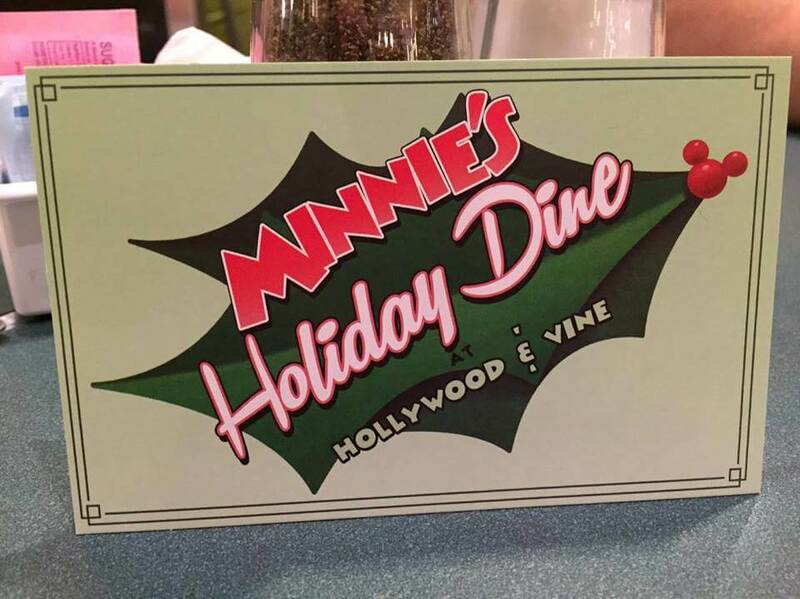 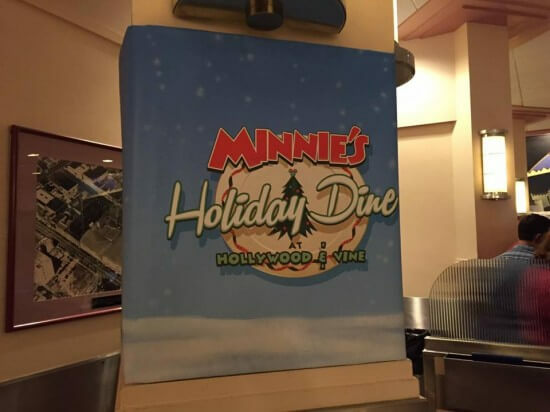 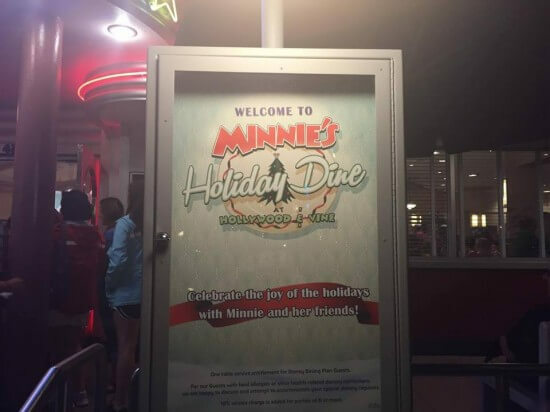 Minnie’s Holiday Dine dining event is hold during the holiday season at the Hollywood and Vine restaurant at Disney’s Hollywood Studios until January 3, 2016. 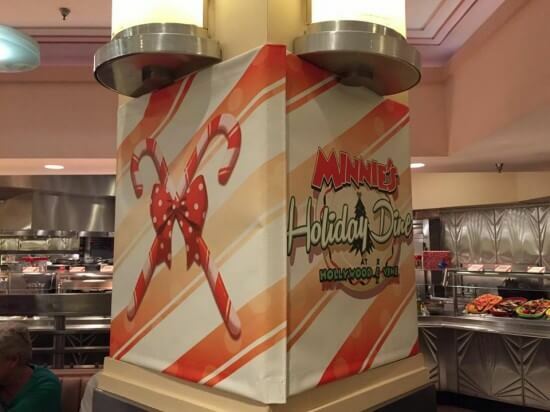 This dining experience will feature Holiday-themed décor, food, music and activities but also character friends like Mickey Mouse, Donald Duck, Daisy Duck in new Christmas outfits and special guest—Santa Goofy. The restaurant gets a nice Christmas decor overlay for the special dinner. When you first arrive you get to meet and greet with Santa Goofy and Photopass photographers are on hand to snap your picture. 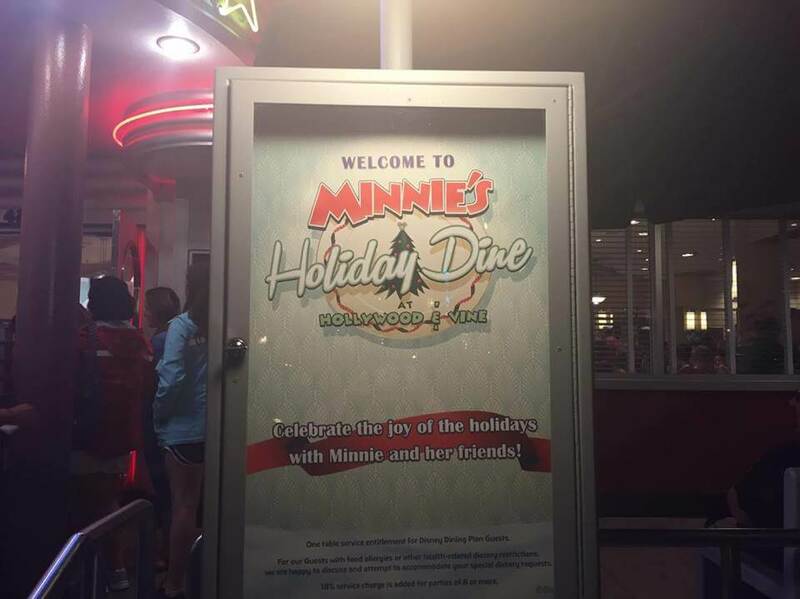 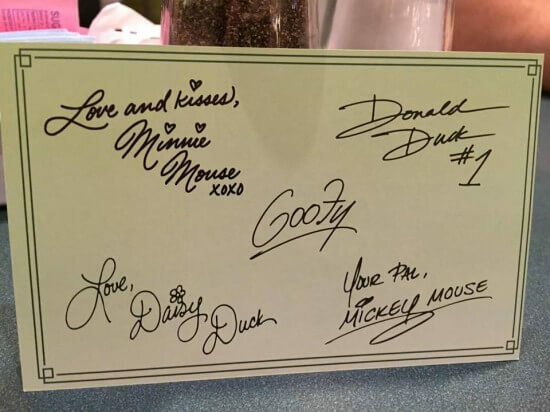 You’ll receive a nice Minnie’s Holiday Dine autograph card. 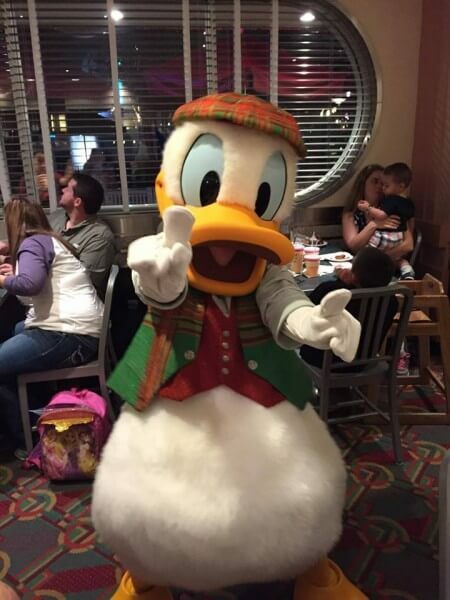 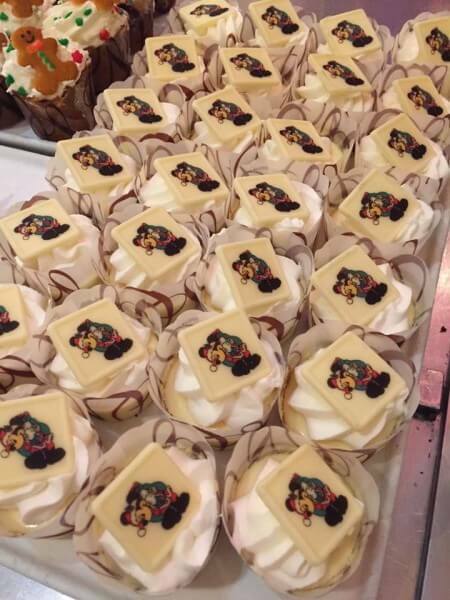 When you attend a character dinner like this there are two main things you care about: characters and food. Let’s start with the food. 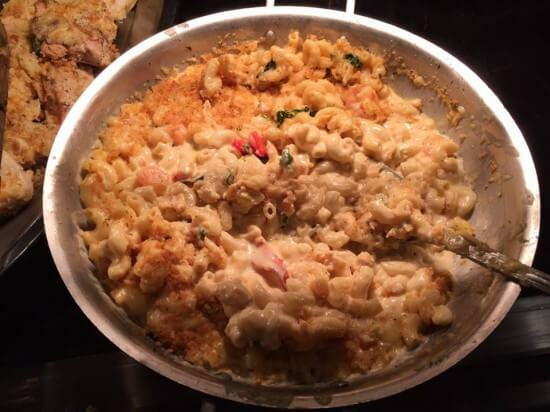 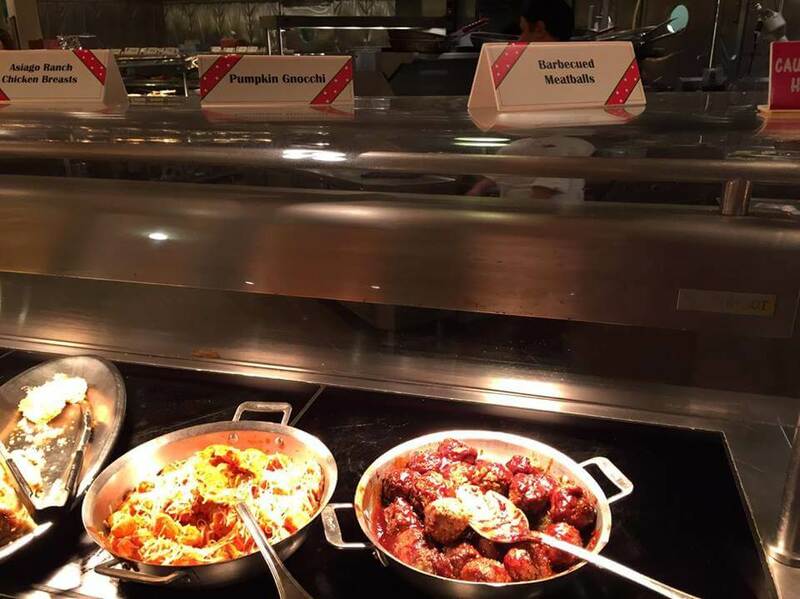 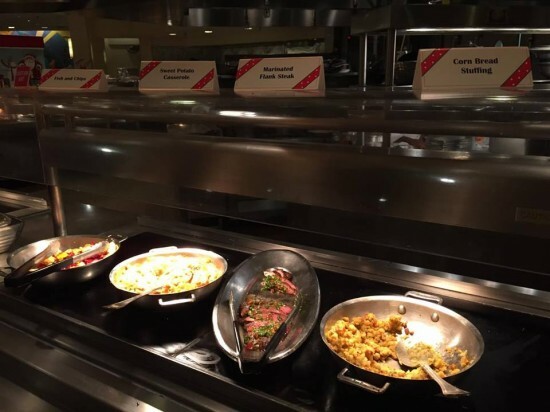 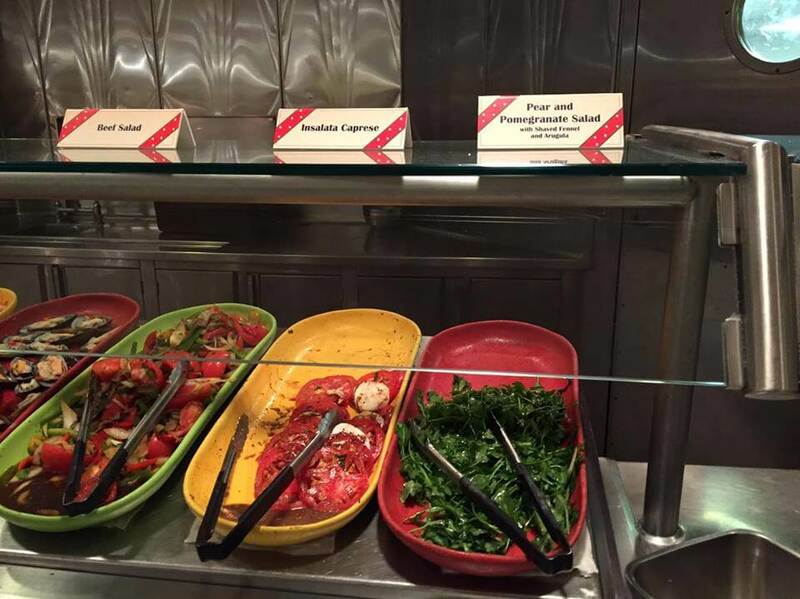 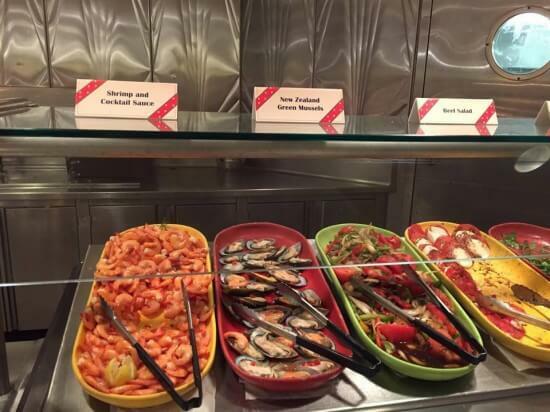 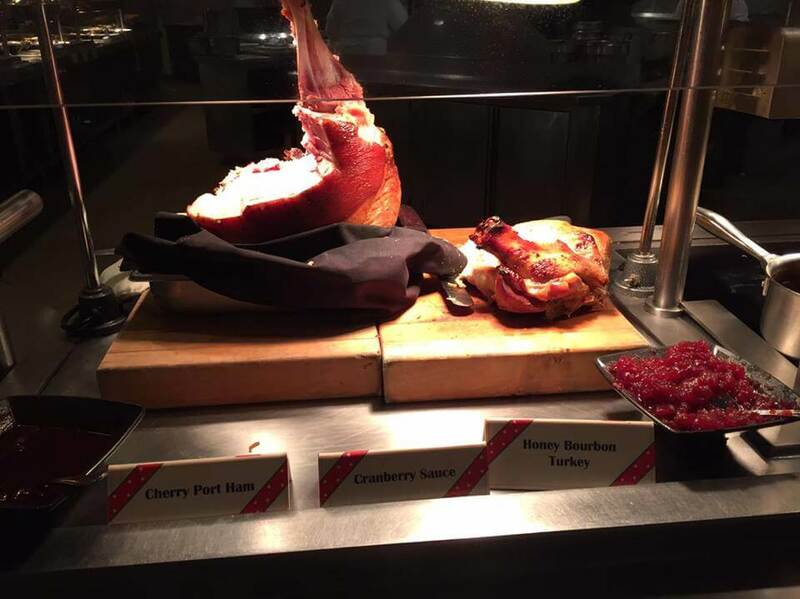 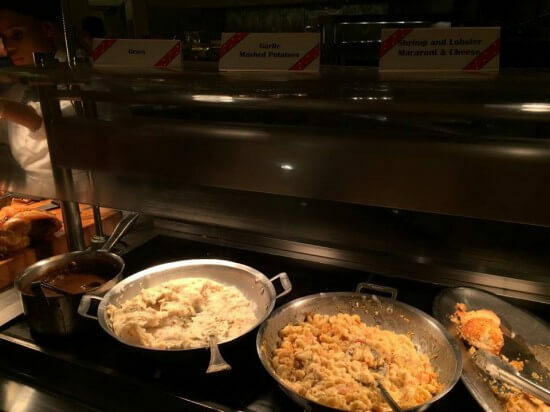 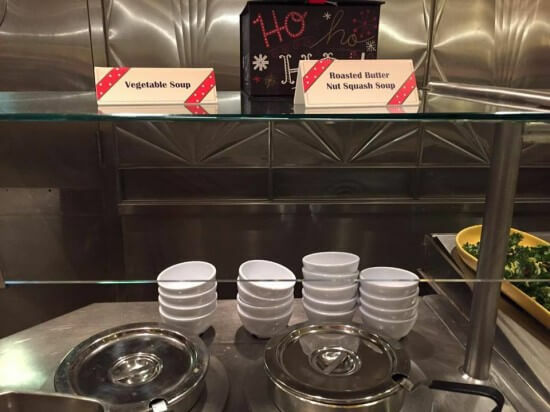 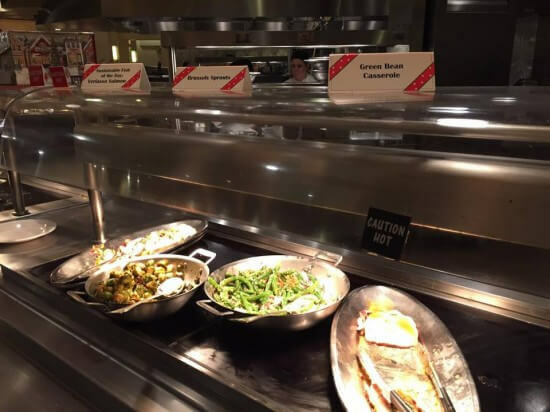 The food is served buffet style and has tons of yummy holiday addition but still keeps some of the classics from the regular buffet like the shrimp and lobster mac and cheese. 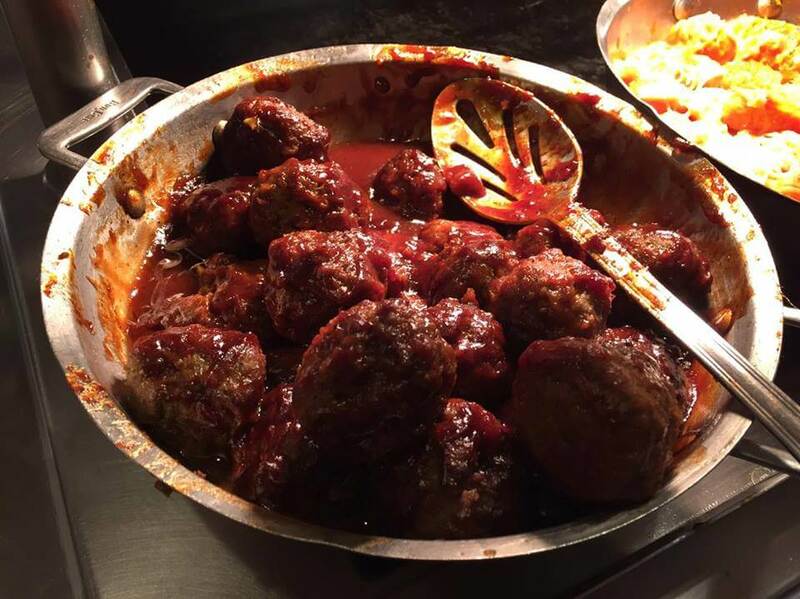 In our group the favorites were definitely that mac and cheese and the BBQ meatballs. 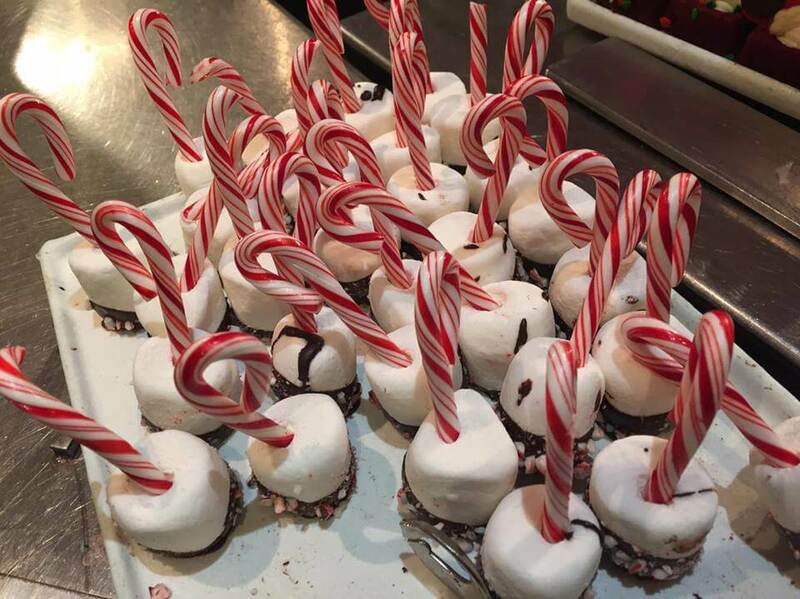 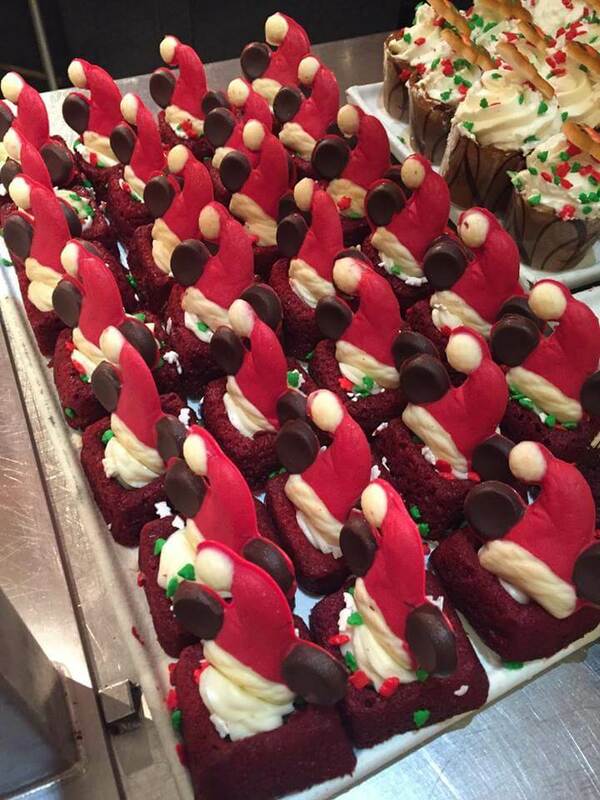 Of course there is a nice selection of holiday desserts on the buffet. 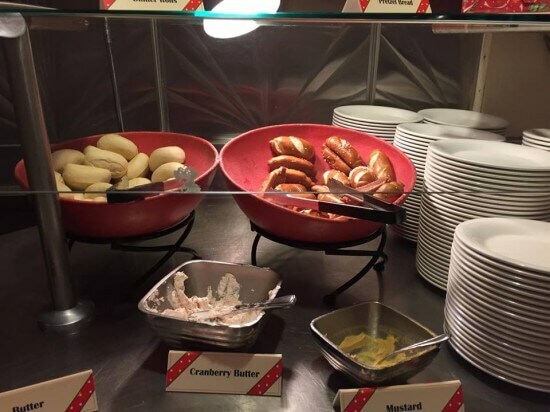 There is also soft serve ice cream available. 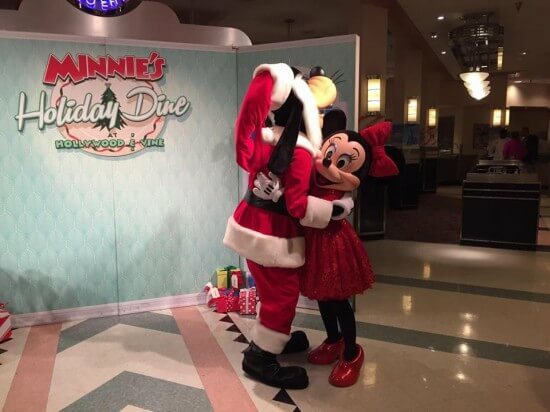 Now onto the characters, in addition to Santa Goofy you will also have the chance to meet and greet with Minnie Mouse, Mickey Mouse, Donald Duck and Daisy Duck. 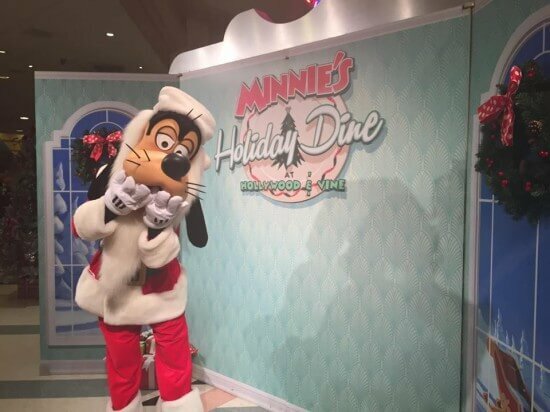 All of them are dressed in their holiday best and extra fun is how all their outfits are new and you won’t find them anywhere else. 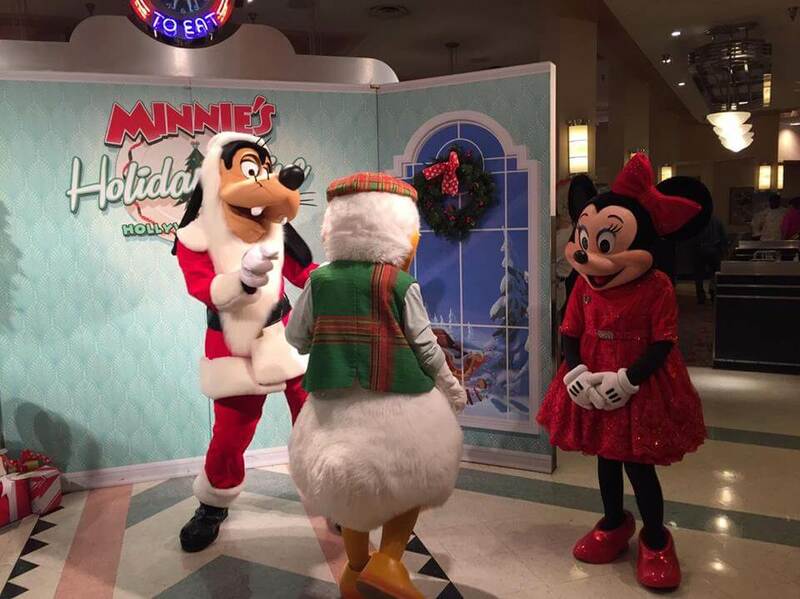 Character attendants walk around making sure that each table gets a chance to meet the characters but there is no Photopass photographers available for pics. 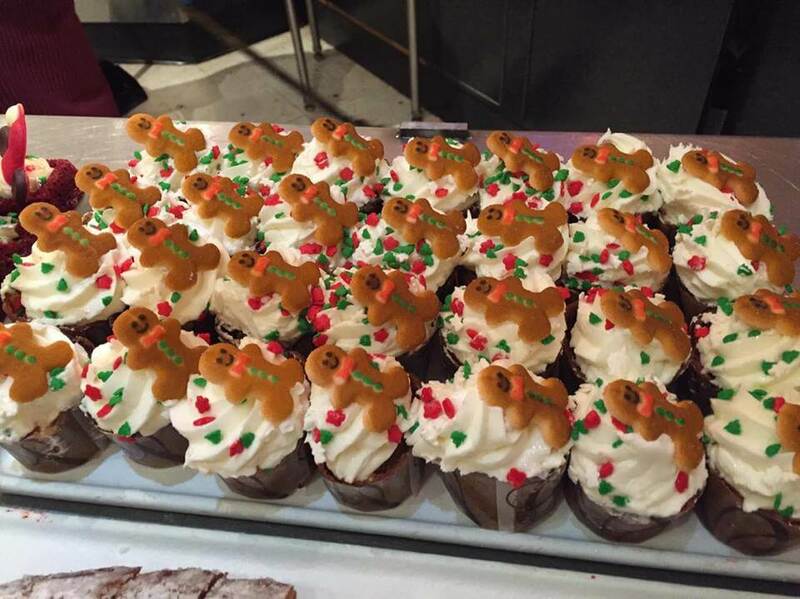 All of that looks so delicious! 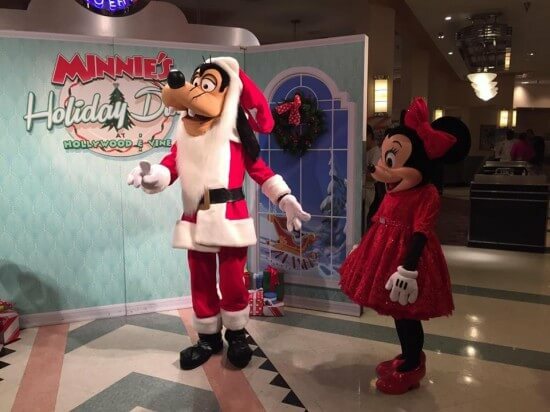 Visiting Disney during the holidays is seriously one of the most “magical” times to stop by the parks. 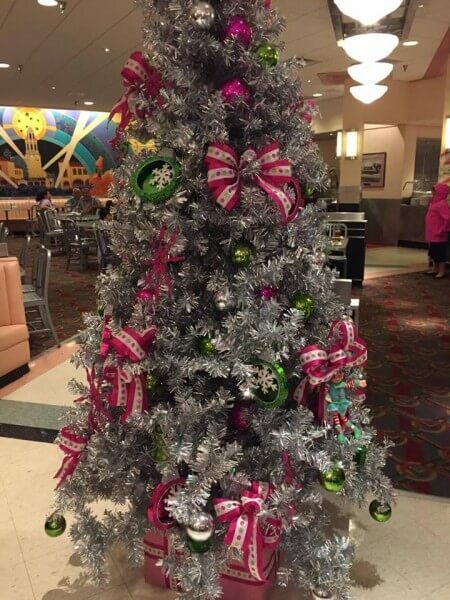 Everything is so festive and beautiful!